CJ Affiliate by Conversant is a leading global affiliate marketing network set up to facilitate fair and transparent relationships between advertisers and publishers. CJ specializes in pay-for-performance programs that drive results for businesses around the world. CJ has the power help advertisers connect and influence new and existing consumers at every touch point in their decision journey. Their innovative and robust reporting tools provide advertisers with a clear view of consumer engagement in regards to each individual publisher and the overall customer journey. The platform can be fully personalized to help structure a program that will ensure the advertiser’s overall goals and objectives are being met. SaleCycle’s partnership with CJ makes it fast and easy for advertisers to deploy the SaleCycle tag without the need for any developer help. 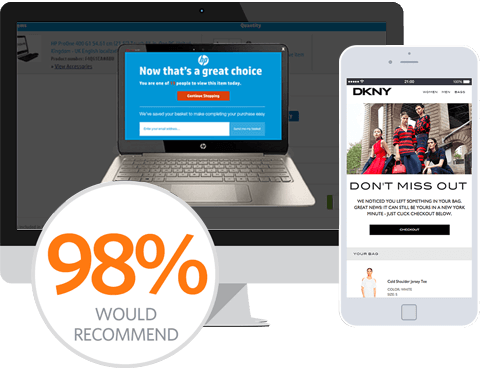 This means SaleCycle can get CJ advertisers up and running with remarketing solutions even more quickly. When clients come to SaleCycle through CJ, they can expect to see all their performance data including SaleCycle’s nicely placed in the CJ platform. Our dedicated client managers have a close working relationship with affiliate managers at CJ, and continually strive to improve client campaigns through innovative and fresh approaches. They act as an addition to your marketing team and help you reach more potential customers and drive more sales. Due to our long standing relationship with CJ, we now have a master service agreement to ensure there is minimal procurement processing between all 3 parties, making it easier than ever to get clients up and running with SaleCycle. Access all performance marketing data through the CJ affilliate platform. Quick and easy to deploy the SaleCycle tag without the need of a developer. Performance based pricing model makes it very cost-effective.